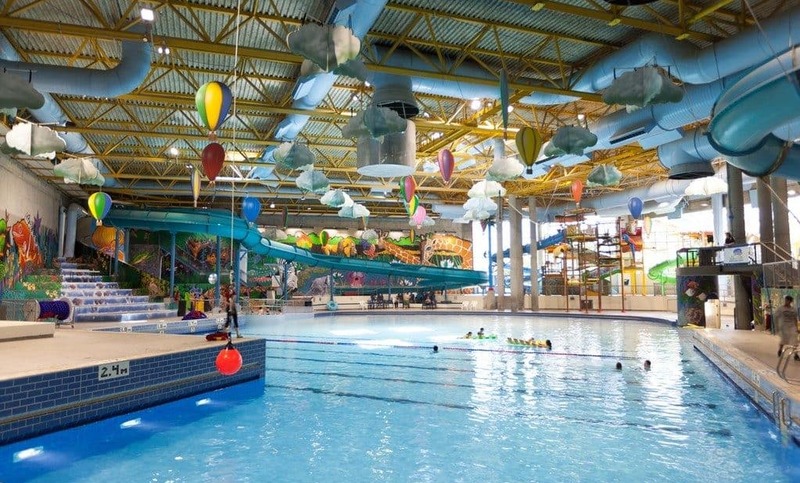 I have been to Village Square Leisure Centre many times before I had kids as well as after. 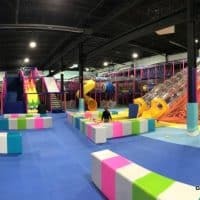 After going to Southland Leisure Centre for the first time, I decided it was time to write reviews for them both. 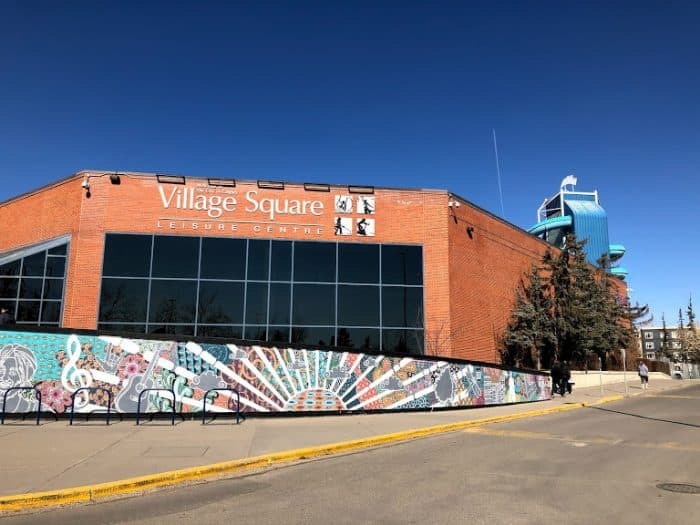 Village Square Leisure Centre and Southland Leisure Centre are run by the City of Calgary and your admission gives you access to the whole facility for the entire day. 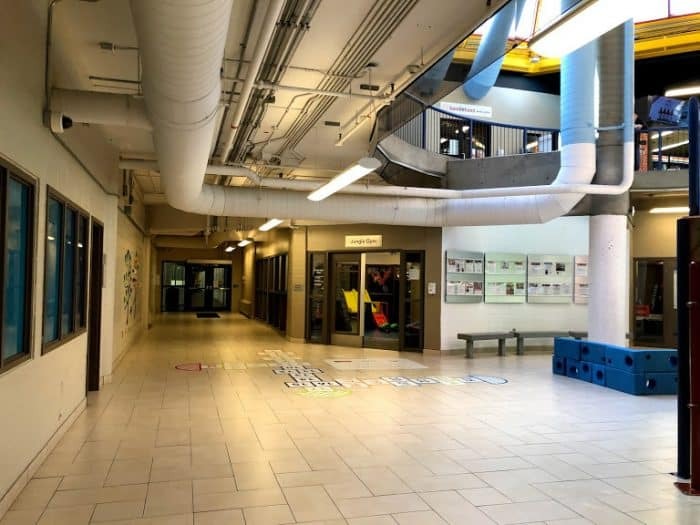 Address: Pineridge – 2623 56 Street N.E. 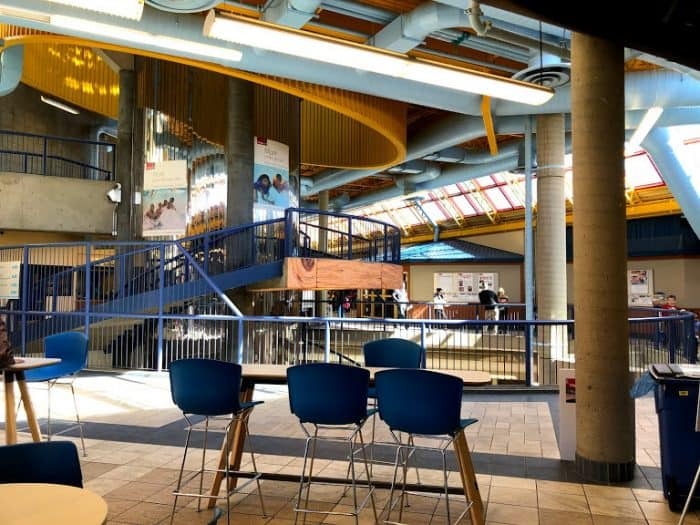 Rec Centre Activities: Other drop-in activities include public skating times and open-gymnasium times (badminton, soccer, basketball) when offered. 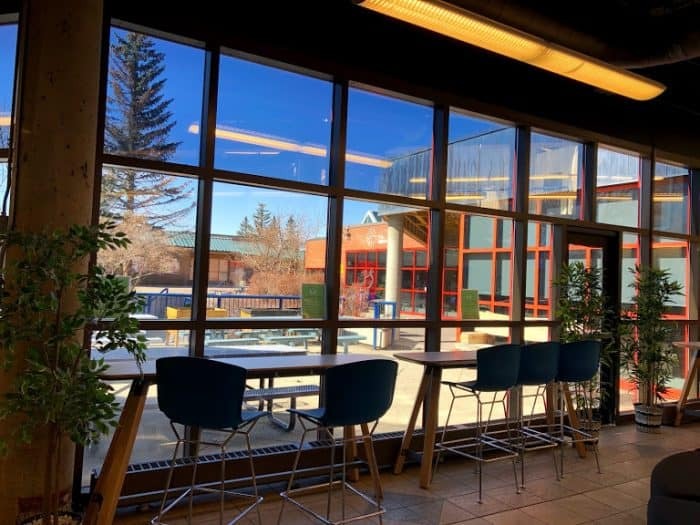 The Village Square Library is also inside the Village Square building. Village Square also has a small indoor play area with drop-in times (0-5 years). 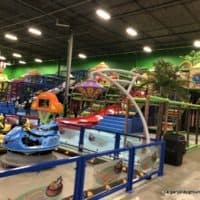 The Jungle Gym is also bookable for birthday parties. Instead of a typical concession, Village Square has Coco Brooks over near the Library. It has way more than just pizza including waffle fries, chips and salsa and sandwiches. 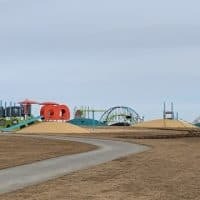 You need to leave the admission area to access Coco Brooks but your wrist band will get you re-entry privileges as long as the facility is not at capacity. 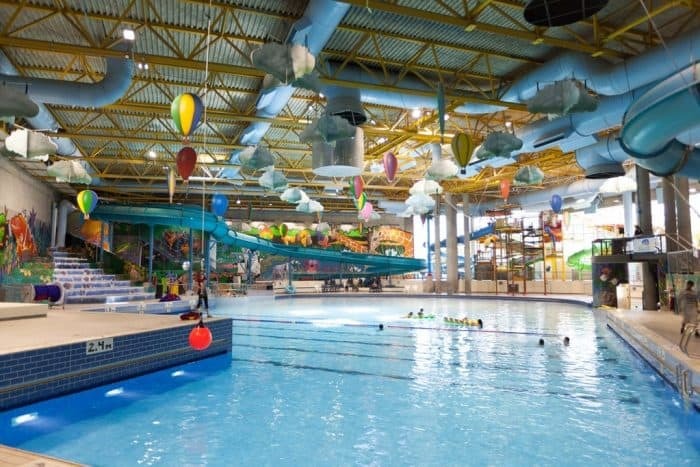 The safari-themed waterpark includes a wave pool, huge water slides, a dive tank, tot pool, AquaPlay splash zone and hot tub. The tot pool is a small square-ish area next to the leisure pool. There are some small toys for kids to play with. 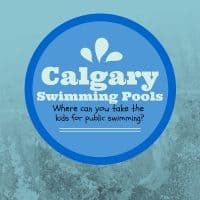 Kids under 8 are allowed in the tot pool. There are two big water slides. The light blue water slide drops you into the deep water tank. 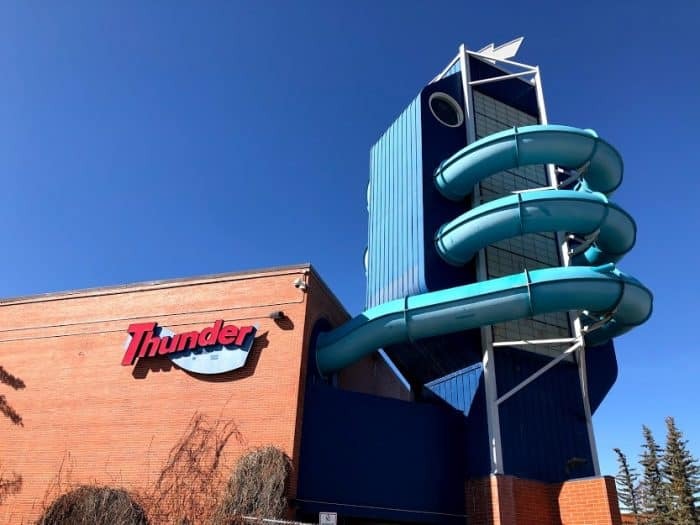 The Thunder water slide is big with a twisty section at the top. It lets out into a stand alone run off. 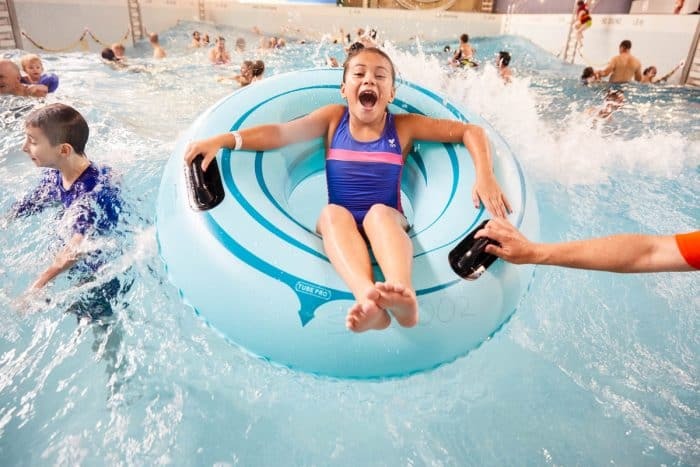 To ride the water slides alone you need to be 8 years old. Kids under 8 must be accompanied to ride. My husband took our 7 year old on the Thunder water slide – he found it a little awkward and she found it a bit too intense for her. The AquaPlay Structure at Village Square is really big. 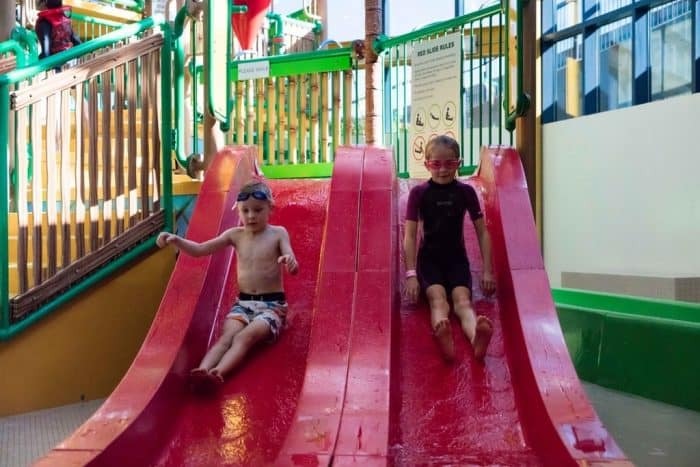 There are 3 slides, a small red double slide that even most little kids will enjoy, a medium sized green tube slide and a larger blue tube slide. The structure itself is fun to roam around in with lots of sprays features. Some kids may find them to be a bit much. There is also a bucket dump feature but there is no warning bell to let you know when it’s about to drop. There is a universal change room available but it is not very big so if you don’t need to use it, you may be happier in one of the other change rooms. 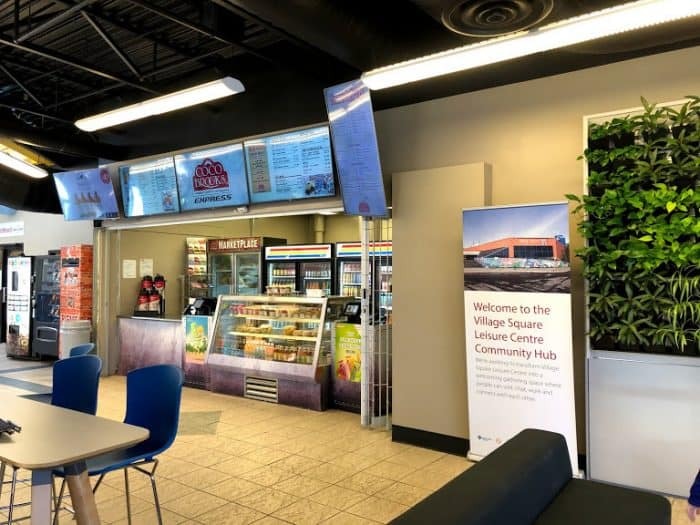 There was a sign up (as of March 2019) saying they are currently reviewing their change room guidelines. Currently children over 8 must use their “appropriate gender” change room or are able to use the universal change room.